Stir until you see the oil separating. Add chicken breast and egg plants, cook until chicken and eggplants are almost done. Add bamboo shoot, red chill, fish sauce, sugar, basil and kafir lime leaves. Continue cooking for about 2-3 minutes before removing from heat. Serve with sweet rice or regular rice. Jasmine rice goes best with this curry. I think you can add green corriander leaves too. What is green curry. 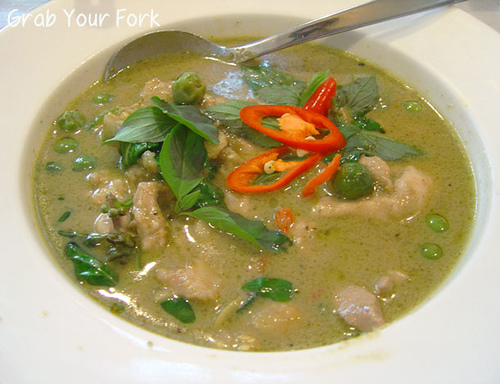 Give recipe of of green curry.